An expanding house? Yes, and it a tiny house as well. This unique garden house set on runners can slide to larger or smaller sizes, and it was built by a fellow for his mother. It had to meet his mother’s requirements, though: It had to serve as a place to write, to throw large diner parties (for 25-30 people), and serve well for camping and guests who want to stay a night or so. When collapsed, the tiny house is 20-by-13 feet (6-by-4 meter) structure. The maximum expansion of this house is almost 39 feet (12 meters) in length, so the max total interior space is 484-square-feet (45 square meters). However, each time you expand this house or shrink it, you’re going to have to get up and exercise. 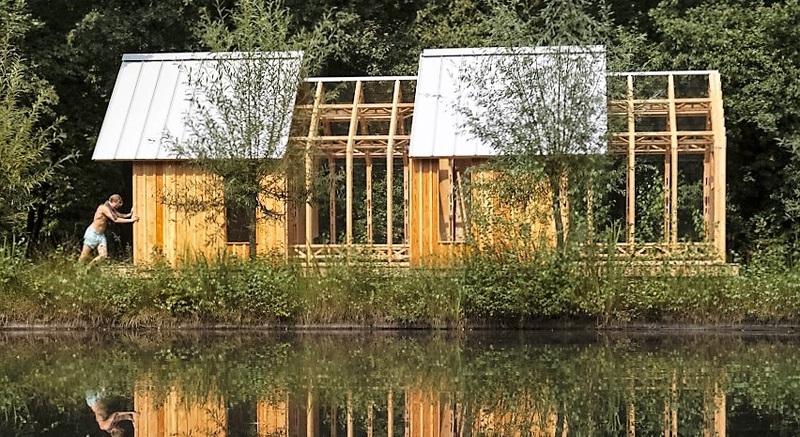 this transforming retreat house built on a budget of 20,000 Euros (just under $22,000 USD). Schols built this house in 4 months, doing a lot of the component work himself. 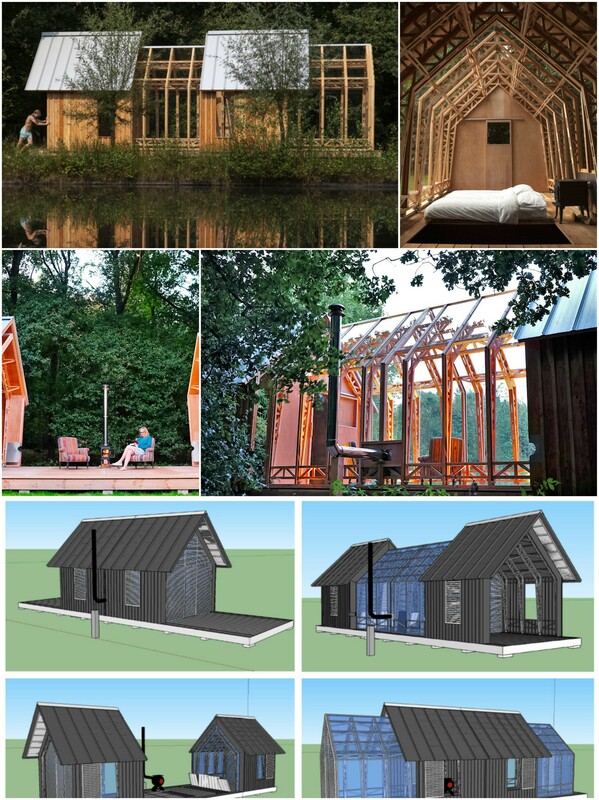 For more tiny home builders, find them in our directory.